The Shell Eco-marathon is an annual competition sponsored by Shell, in which participants build special vehicles to achieve the highest possible fuel efficiency. The Eco-Marathon is held around the world with events in Europe, the Americas and Asia. Entrants come from several backgrounds including enthusiastic amateurs, and university teams. In its first year in the Bay Area, Eco challenge was in Detroit for the last 3 years, Shell looked to Hitachi for help to engage teachers in STEM education. 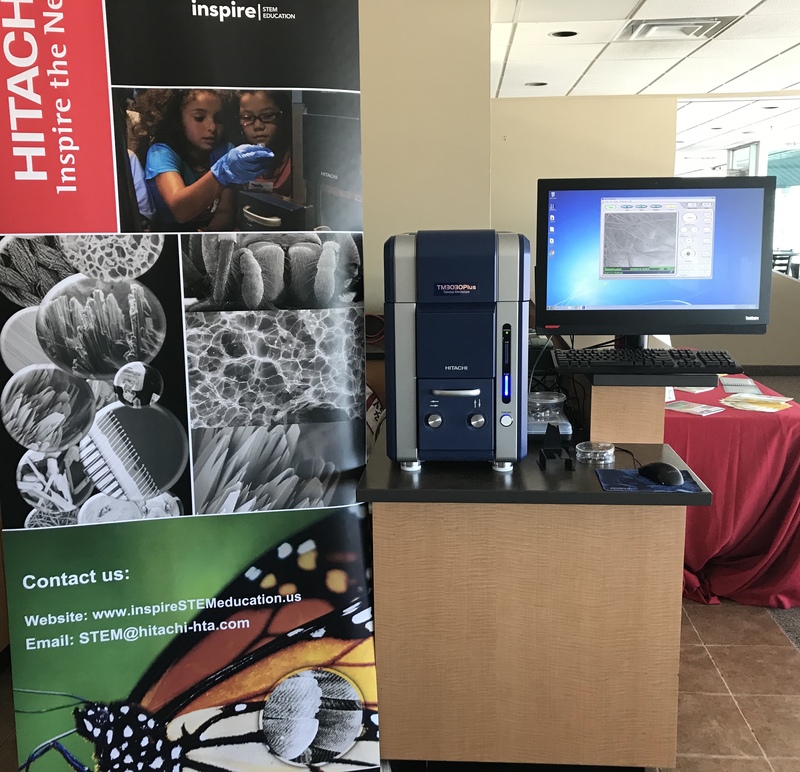 Hitachi responded with full participation from providing key education suggestions to teacher offerings to fully participating and engaging students throughout the entire event. The even lasted from April 19 to April 22 and was packed full with exclusive events geared for teachers, students and the general public completely free of charge. 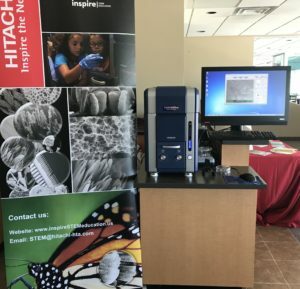 As a partner in inspiring students towards STEM careers, Hitachi was able, through the hands on use of the SEM, be the connector of how technologies from photovoltaic cells to rubber from Eco-challenge cars can all find their humble roots in the study of the Nano world. Hitachi engage hundreds of visitors many of whom had not heard of our local STEM program and many whom have since event already contacted us to get Hitachi involved with their own local schools. As there were also many international universities, we were also able to show what a truly global company can do as no part in the world was too far for Hitachi to engage in conversation regarding possible future SEM sites and or acquisition of the same. More importantly we were able to talk about how Hitachi is making a global contribution through its many branches. We were able to engage with local leaders and show them how Hitachi is willing to contribute through our STEM program in their schools and partner up with them in creating a better tomorrow. We showed how Hitachi is contributing to our global evolution not just a pioneer and leader in many fields but also as a leader in our community engagement and social responsibility.